Song of the Deep is a metroidvania-style action-adventure game following a young girl’s quest into the unknown to find her missing father. Combining discovery, skill, and suspense with an unforgettable narrative, this underwater journey will challenge players to explore, experiment, and skillfully navigate a vast ocean landscape. Song of the Deep launches on PS4, Xbox One, and PC. 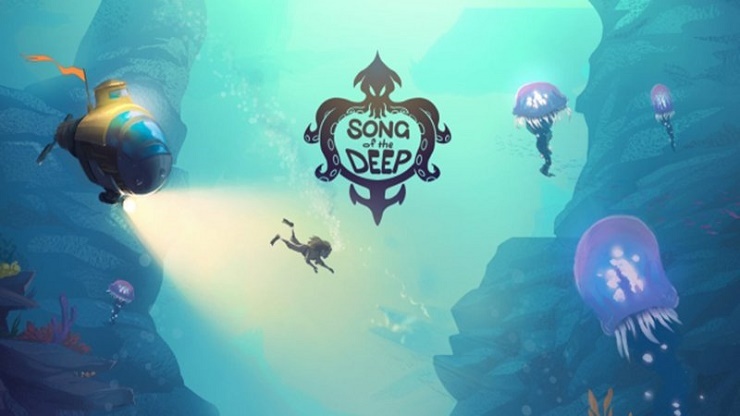 A passion project inspired by the daughter of Insomniac Games Chief Creative Officer Brian Hastings, Song of the Deep has a simple and compelling message: no matter who you are, you have the ability to overcome adversity when you don’t give up. Merryn waits all night for her father to return from his fishing voyage. He never does. After a vivid dream showing her father trapped under the sea, Merryn is determined to save him. This unlikely heroine builds a small submarine from spare parts and sets off to rescue him. Along the way, she’ll make friends, discover lost civilizations and ruins, and upgrade her submarine to explore even deeper. The terrain and monsters of the deep are daunting, but Merryn’s courage, intelligence, and love for her father will help her overcome adversity. Set in a gorgeous underwater world, players take on the role of Merryn in her quest to find her father. With a rickety submarine, Merryn will explore the vast ocean depths in this side-scrolling Metroidvania-style adventure game. Song of the Deep delivers unique gameplay in a tale of love, heartbreak, and triumph. Explore a fantastic non-linear interactive underwater world, from ruins to boneyards to gardens. Every corner of the ocean offers a new surprise. Trainer for the game Song of the Deep, you can use it to activate these essential Cheat Codes: Infinite HP, Infinite Energy, Infinite Gold, One Hit Kill. Note: This cheat tool is for the original version v1.0 (Update 2016.07.29) of the game Song of the Deep.